Tim Croft has over 28 years experience in pitch and flat roofing. He started his studies at Leeds College of Building, winning both regional and national awards, culminating in the highest results in the UK for advanced roof slating and tiling. Tim then went on to study with distinction the Certificate in Construction Crafts Supplementary Studies, finally being awarded a Licentiateship of the City & Guilds Institute. meet and exceed most insurance cover requirements for the industry standard with policies designed to protect ourselves and our customers. 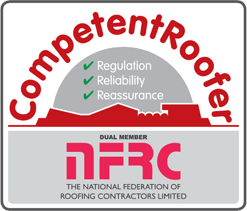 All eleven members of staff are fully qualified and time served roofers boasting a total of 220 years service with the company. We are always easily identified by our company uniforms and by travelling in one of the fleet of vehicles liveried in the company name and colours. 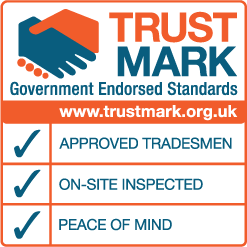 As members of The National Federation of Roofing Contractors, we also represent the government Trust Mark Scheme providing guarantees on all refurbishments and new work. We regularly work on National House Builders (N.H.B.C.) Projects to help survey, estimate and correct roof faults.